Jing Ge is a postdoctoral research fellow in the Anthropology Department and Co-Chair of the Tourism Studies Working Group at University of California, Berkeley. She received her Ph.D. in marketing and communication from the UQ Business School at the University of Queensland, Australia and has close to 10 years of online communication industry experience. Her research focuses on computer-mediated communication (CMC), multimodal CMC, and the language businesses and consumers use on social media. In this guest post, Jing draws from her team’s research and her experience studying destination marketing organizations (DMOs) to tell us why she 🐝🍂 that understanding and using emoji is essential to communicate with visitors who use social media. Jing also provides five takeaways to help your content marketing team stay current. Emoji are recognized as today’s “fastest-growing language.” They are used by 92% of the online population, and were sent within 2.3 trillion mobile messages in 2016 (Emoji Research Team, 2016). The impact reaches beyond travellers, as businesses and agencies have also deployed emoji in greater numbers recently. 2016 showed a 777% year-over-year increase in emoji use within marketing campaigns. To build currency in the attention economy: In today’s crowded social media space, the most valuable resource is not information, but the attention people pay to it. Emoji are visually appealing and can therefore help destination marketers create eye-catching content that connects with social media users. To develop playful interactions: Social media engagement indicates word-of-mouth promotion, which impacts travel decisions. To gain the most positive impact for their destination, marketers need to accommodate and navigate the consumer-led communication paradigm by entertaining and socializing with current, past, and potential visitors. There are many fun emoji that can help. Emoji that show cartoon-like objects, activities, body gestures and facial expressions can all add witty and humorous elements to messages. This helps content marketers have friendly and valuable interactions with their audiences. To support continuous social media conversations: Destination marketing is essentially about creating positive word of mouth through remarkable experiences. To this end, marketers need to not only initiate but also maintain and amplify conversations through interesting content that connects. Previous studies show that consumers view emoji use as a fun and convenient way to enable and sustain social media interactions. For example, they use emoji for: 1) expressing ideas vividly; 2) keeping a conversational undercurrent running when they have nothing to say (e.g., using a smiling face); 3) proposing a fun puzzle for the receiver to decipher; and, 4) participating in emoji competitions (i.e. users exchange emoji to show off their capability of using emoji to tell a story). To foster relationships: Social media marketing is essentially about building relationships. To build those relationships, destination marketers need to signal solidarity and create an affiliation with consumers. Developing authentic, long-term relationships is challenging in the crowded and networked social media space. But recent research brings promising news: emoji are well accepted by users as an optimal way to enhance emotional connection, increase perceived intimacy as well as interpersonal closeness, and even build a unique relationship by creating shared and secret emoji meanings. To humanize your destination’s brand: Brand humanization is the key to tackling one of the destination branding challenges – how to help tourists trust, love and respect their brands in the competitive social media space. The good news is that emoji – at least, those that denote anthropomorphic facial expressions and body gestures – are emotionally expressive. They can help destination brands communicate the personalities and human characteristics to consumers; thereby elevating brands as a trustworthy and relational partner. There are many ways to use emoji in your communications with visitors. Here are a few to get you started. 1) Use emoji to repeat the words mentioned in the text in order to decorate and/or amplify the message. 2) Use emoji instead of words to relay specific information. 3) Use emoji at the end of posts or comments to add a positive tone or evoke emotions. 4) Use emoji to initiate small talk to keep the social media presence. Example: 🌞 🌻 Good morning! 5) Use funny-face emoji to create a sense of humour. Now that you’ve seen some examples, these five takeaways will help you and your team use best practices with emoji in your own messaging, based on the latest research. Be bold: Differing from traditional languages, emoji do not possess top-down grammatical rules; their use is loose and fluid. This requires destination marketers to step out of their comfort zones and explore how to integrate emoji into their visitor engagement strategies. Become a student of your visitors: Many visitors, especially young social media users, are emoji experts. It would be beneficial to observe, identify, and learn the variety of ways they use emoji for different communication purposes. Your destination’s content marketers can benefit from a learning-by-doing approach, as well as by recruiting proficient emoji users as consultants. Be innovative: To keep up with emoji communication trends, you need to move beyond the smiley face. Destination marketers need to consider fully leveraging the wide range of emoji categories provided by the Emoji Unicode to formulate sentence-like utterances. Be careful: Emoji can be tricky. Their appearance often differs between mobile devices and across social media platforms. For example, the person rowing a boat (🚣) looks different on iOS, Android, Twitter, and Facebook. But don’t feel puzzled! 😕 The Emoji Unicode offers a comprehensive list that shows different appearances of each emoji across devices and platforms. Marketers should also be aware of the specific cultural context they are working in, and the double meanings of some emoji, when using them to reach international audiences. For instance, it is absolutely not a good idea to use ‘thumbs-up’ when communicating with people from Greece. Be diligent: Emoji use is fuelled by technological, social and cultural dynamics. Emoji designers and social media platforms continue to introduce new emoji to encourage user interactions. Moreover, the communication culture and audience on different social media platforms (e.g. 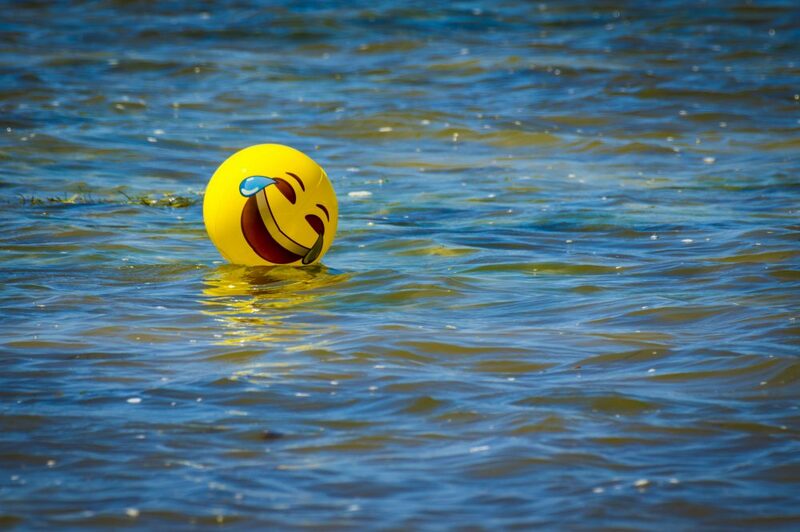 Twitter, Instagram, Snapchat, Facebook) may lead to different styles of emoji use. Destination marketers therefore need to work hard to stay current within this dynamic communication paradigm. Now that you know why emoji are a 🎁 to your destination’s content marketers, go and 🐝 awesome! Related reading: Engagement benchmarks: How does your destination compare? Great read and thanks for sharing! Did you know emoji can now be used as web addresses? Emoji domains are in their infancy and I believe they will soon take off as the first visual domain. Using the power of a visual domain to complement your website could increase engagement and social interactions. Budweiser, Hodinkee Watches, Bobby Brown Cosmetics, and Ray Ban.